Home › FTF Blog › Spring Giveaway! 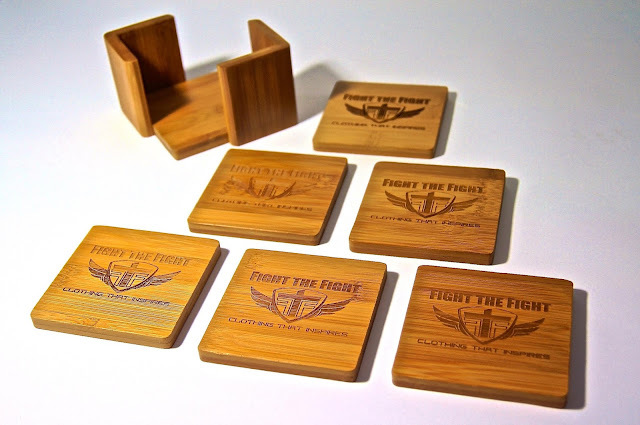 As a way for us to say thank you for all of your support for our organization we are giving away an exclusive set of our engraved bamboo drink coasters. To enter all you have to do is join our email newsletter list. If you are already subscribed then you are already entered. At Midnight CST on April 30th we will use a random number generator to chose the winner from our list of email subscribers. Fight the Fight is a Non-Profit Organization dedicated to financially assisting individuals who have incurred large medical expenses.